Thermography has been shown to be useful as a diagnostic tool in the differential diagnosis of neuro-musculoskeletal injuries and their prognosis for return to participation and/or competition. Since Thermography Radiation free , non-invasive, 100% Safe, and no pain, it is a very practical tool in the clinical setting and may be used in the sports medicine clinic, private practice or the training room to assess injury and make clinical decisions. Thermography not only helps confirm a diagnosis, but can be used as a gauge to clinically assess progress and treatment response, as well as a prognostic indicator. Thermography is useful for, but not limited to, the diagnosis and evolution of epicondylitis, patellofemoral syndromes, ankle injuries, shin splints, stress fractures, myofascial pain syndromes, spinal pain syndromes, shoulder injuries, foot pain syndromes, and vascular disorders. One of Thermographys’ biggest contributions to sports medicine is in the detection of the posttraumatic pain syndromes of reflex sympathetic dystrophy (complex regional pain syndrome) and sympathetic maintained pain syndromes which can occur after minimal injury. These have traditionally been difficult to diagnose. 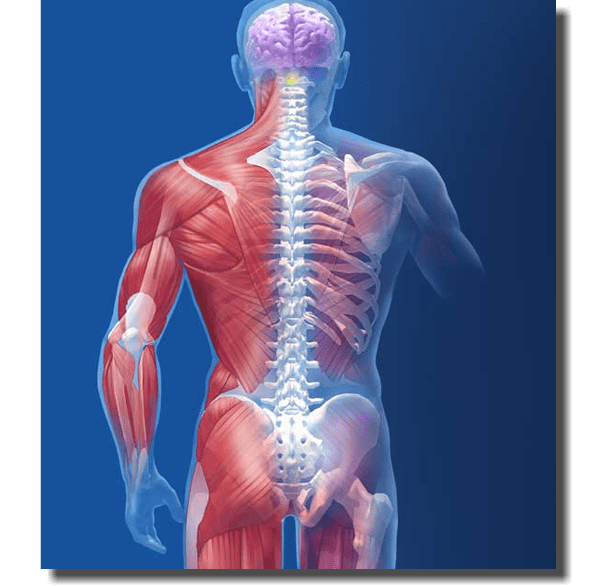 DITI provides an invaluable window into the autonomic/sympathetic nervous system, which records via somatocutaneous reflex, the sympathetic response to pain and injury. The controlling mechanism for thermal emission and dermal microcirculation is the sympathetic nervous system. There is a persistent vasomotor tone in the peripheral arterioles and precapillary sphincters. This tone allows the dermal vessels to stay in a partially constricted state so as to inhibit excess heat loss from a higher core temperature. The autonomic regulation involves synapse of preganglionic sympathetic fibres to postganglionic. The postganglionic fibres travel to vascular structures and modulate alpha receptor function in the dermal microcirculation. When there is increased sympathetic function vasospasm will occur due to further vessel constriction and there will be decreased thermal emission at the cutaneous level. This may occur due to either increased postganglionic fibres function/irritation or hypersensitization of the alpha receptors in the dermal microcirculation allowing increased binding of catecholamines. Increased thermal emission will conversely be seen due to situations of decreased postganglionic function (such as seen in denervation) or alpha receptor blockade (receptor fatigue due to release of vasoactive substances such as substance P). Muscle, joint, osseous, ligament and nerve injuries all cause the patient to perceive pain. Pain sensation is carried by afferent stimulation of C-nociceptors. These unmyelinated fibres do have a percentage of sympathetics. Pain is then processed centrally and to the brain via the spinothalamic tracts. The patient may feel pain at the area of injury and at sites distant to the area of in-jury. This is called referred pain. Much research has been done documenting referred pain in myofascial syndromes and somatic visceral conditions. These referred pain zones are believed to be a somatocutaneous sympathetic response. They work via a common autonomic neural network. The somatosympathetic response can be imaged by DITI. Pain is believed to be a neurogenic and autonomic response to injury. DITI findings have been found to correlate well to the patient’s report of painful areas and is well suited for diagnostic purposes in athletic injuries. DITI is not a picture of pain, however, it is a picture of autonomic dysfunction which seems to correlate well with regions of pain. Pain felt at the area of injury is generally seen to be hyperthermic (increased thermal emission) due to decreased sympathetic function and alpha receptor blockade from posttraumatic metabolic by-products such as substance P, kinins, histamines, etc. This could be called a somatocutaneous reflex. Areas of referred pain are generally seen to be hypothermic (decreased thermal emission) due to increased sympathetic function. DITI has good clinical utility, is cost effective, risk-free and provides instantaneous real time imaging. DITI should be used by doctors treating common disorders for assessment purposes. While many doctors do not own diagnostic equipment, most major cities and suburban areas have experienced thermographers that will give the referring doctor access to this useful technology and diagnostic test. Major medical center hospitals should have a thermal imaging department available for referral, and it is hoped that now medical DITI has become more economic it will allow doctors to maximize their specialist skills through access to this objective test of physiology and ultimately benefit their patients. Disclaimer: Northeast Thermography Medical Imaging Center is not a treatment or diagnosing center. The information at this website is for general information and resource purposes only and is not intended in any way to be a substitute for professional medical advice, diagnosis or treatment.